William Ewert apparently he was named after Gladstone but Ewart was miss-spelt, was born on the 23 June 1879. He was the one with journalist flair and the imposing handsome presence of his brother Seymour. The story goes that William (known to his friends as Bill) entered an essay competition and won first prize. The judge W.W. Hadley editor of the “Merthyr Times,” declared ‘this entrant should take up journalism as a career’ and so William began his working life at 14 as a reporter of the “Merthyr Times.” It was through Mr Jonah Thomas the local reporter in Merthyr “Western Mail and Evening Express” was first initiated into journalism. William, after learning his trade in South Wales he left for London aged 19 to become a reporter on the “Investors’ Guardian.” That did not last long and William spent three months unemployed, walking the streets and trying freelance work before getting a job as a reporter for the Commercial Press Association. Then, at 22 with £100 borrowed from Seymour he launched in 1901 a paper of his own, “Advertising World.” This was a bold but shrewd move for by the turn of the century advertising was firmly established as an industry and several hundred advertising agencies were operating in London. William is reputed to have written every word of the first issue Advertising World flourished as a paper for the trade and William invited his younger brother to join him to be in charge of advertising, sales and finance. It turned out to be a brilliant partnership with William’s flair and Homer’s financial acumen. In their bachelor days they shared a flat in Arundel Street, Strand, and until 1936 they harmoniously shared a joint bank account on which each could draw without consulting each other. In 1924 with Sir Edward Iliffe, they formed Allied Newspapers Ltd. To take over the Berry interests but also to start a major programme of acquisitions. By January 1928 this company controlled the “Daily Telegraph,” the “Illustrated Sunday Herald,” and morning, evening, and weekly papers in Sheffield, Newcastle, Middlesbrough, Aberdeen, and Darlington. In 1926 it bought for eight million Lord Rothermore’s Amalgamated Press Ltd which published dozens of magazines and periodicals and owned printing presses and a large paper mill. Altogether the berry group (as it became known) controlled three national morning papers, six provisional morning papers, eight provincial evenings, eight provincial weeklies, and about 70 periodicals. This was not the end of their acquisitions. They bought papers in Bristol, Derby and Cardiff. At the end of 1929 the Berry’s had control of 26 daily and Sunday papers and almost 100 periodicals together with the largest paper mills in the world. Their dominance did not go unchallenged. The Cassell’s publishing firm was another firm was another which prospered under the brothers’ direction. It was later taken over by Sir Newman Flower and his son. It will always be with the “Daily Telegraph” that Lord Camrose’s name will be associated. On January 2, in 1928, the two brothers, with Lord Iliffe, took over the paper, from Lord Burnham. 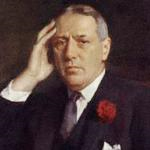 Lord Camrose was in editorial control and remained when Lord Kemsley and Lord Iliffe later took over other interests. In his book “British Newspapers and Their Controllers,” Lord Camrose recalled that a conference he called of all the paper’s employers shortly before taking over, Lord and Lady Burnham and some of the staff were in tears. To many of them the future seemed black, as they had no knowledge of “what violent changes the new proprietor might have in mind.” But changes made were gradual and not drastic. Gradually circulation increased and practically doubled in one day in 1930 when the price was reduced from 2d to 1d, “The Morning Post,” London’s oldest newspaper, was absorbed in 1937. The plant was modernised and in 1928, a new office was built. “The Daily Telegraph Limited,” remained a private company with a capital of £240,000. Lord Camrose admitted that this sum “does not approach” the sum paid for the paper, which was never revealed. The directors except for the present Lord Burnham are all members of Lord Camrose’s family and include Lady Camrose. Before the purchase of the “Daily Telegraph” Lord Camrose, Lord Kemsley and Lord Iliffe had founded the great Allied Newspaper Ltd (Later Kemsley Newspapers Ltd), with its group of morning, evening and weekly papers in provincial cities. In 1947 it produced 26½ million newspapers a week and had a market value of £23 million. Formation of the group began a struggle for supremacy in the provinces Lord Rothermere launched Northcliffe Newspapers Ltd, to start opposition evening papers, but the company went liquidation in the early thirties. In 1937 after 36 years of extremely fruitful collaboration they amicably divided their empire. Illife took some of the periodicals and Kelly’s Directories. William took the “Daily Telegraph” and the “Financial Times,” and the controlling interest in Amalgamated Press which was the magazine group. William had what he really wanted, sole command of the “Telegraph.” Although an astute businessman his passion was journalism. Already he had been running both the “Sunday Times,” where he had been managing editor, and the “Telegraph” as editor-in-chief. Gradually he had put both back on their feet. When taken over in 1927 the “Telegraph” had a circulation of around 84,000 that gradually grew to 100,000 until on 1st December 1930, William halved its selling price and within six weeks doubled its circulation to 200,000. Now, on 1937 although he held on to the “Financial Times” until 1945, he gave his full attention to the “Telegraph,” attending daily at the office. He cleared the way for further success by taking over the “Telegraph’s” main but fading rival, the “Morning Post,” absorbed it into the “Telegraph,” and developed a paper with an excellent reputation for straight news. It was also known for printing the detailed evidence in exciting court cases, and for the entertaining Peterborough gossip column which at times descended into a narrow-minded snobbery. In 1939, long before the “Times” or the “Manchester Guardian” dared to do so, he took the gamble of putting news on the “Telegraph’s” front page. In 1947 its sales reached one million, unheard of then for a ‘quality’ paper. Although they were brought up in a Liberal household, all three brothers favoured a complacent paternalistic Conservatism. Political influence through press ownership had always been the road to honours and their honours were bestowed by grateful Conservative prime ministers. As Lloyd George wrote to William when he was knighted in 1921, “My dear Bill, I am delighted you have been made a Baronet, but you ought to go to the Lords which is the real and rightful Newspaper Proprietors’ Association. William was duly raised to the peerage by Baldwin in 1929 and took title Baron Camrose after the name of the Pembrokeshire village where is father had been born. In 1941 he was made a Viscount. An admirer of Chamberlain he became more critical in the late thirties and welcomed Churchill as the man for the job on 1940. Indeed, his relations with Churchill were strong and close and he was the only non-member of Churchill’s family to dine with him on VE Day (8 May 1945 when victory against Germany was declared). He took the lead in securing Churchill’s comfortable old age when he, with others, bought Churchill his home, Chartwell Manor, for £43,600 (well over a million today) and donated it to the National Trust with the provision that Churchill should live in it for the rest of his life. In turn it was Churchill who suggested that should have a memorial in St Paul’s Cathedral and it was he who unveiled it in May 1956 the green marble plaque in the crypt. William in 1905 married Mary Agnes Corns by whom he had four sons and four daughters. It was generally believed that one reason William and Gomer divided their empire in 1937 was the large size of their families and a desire to clarify inheritances. A number of sons and daughters subsequently became senior executives in the family newspapers. Viscount Camrose, who rose from a junior reporter to be head of the “Daily Telegraph,” died early today in the Royal South Hants Hospital, Southampton after a heart attack, he was 74. He was admitted to hospital for observation following a gastric attack last week. Lord Camrose was a native of Merthyr and benefactions to the town by him and his brother Viscount Kemsley, were today “modestly estimated” in Merthyr at over £50,000 in the past 20 years. Had he lived another year he would have been a Freeman of Merthyr with his brother Kemsley who received the Freedom of the Borough on 28th April 1955. Lord Camrose and Viscount Kemsley deferred acceptance of the freedom of the borough in 1931 because of the grave economic condition of the area. 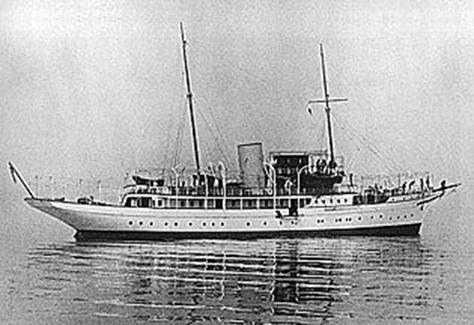 An enthusiastic yachtsman Lord Camrose owned the 742 tonne Virginia, one of the world’s largest yachts, and was vice-commodore of the Royal Yacht Squadron. “Lord Camrose was the eldest of three distinguished sons of Merthyr’s most eminent family, all peers and sons of Alderman J.M. Berry, a Major of Merthyr Tydfil in 1912. 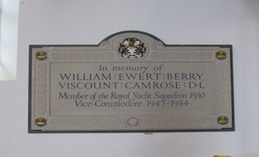 “Lord Camrose with his surviving brother, Viscount Kemsley, were unfailing supporters of every worthy cause and charitable effort in this their native town, and were president or patron of the majority of our local voluntary organisations. 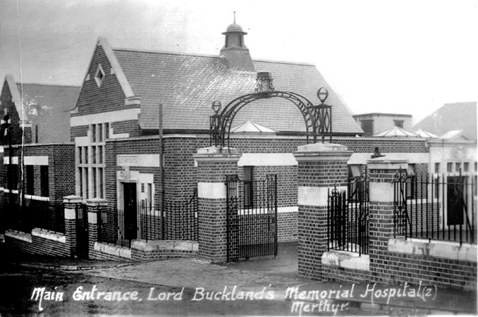 “He contributed with his brother generously to the building of the Buckland wing of the General Hospital in memory of the third brother, Lord Buckland, and generously equipped and endowed the wing upon handing it over to the then hospital committee, and were substantial contributors towards the maintenance of the hospital as a voluntary organisations. In a telegram of sympathy to Lady Camrose, the Major said that all Merthyr people joined in his expression of deep and sincere sympathy with her and her family in the loss of one of Merthyr’s most eminent sons. To Lord Kemsley the Major sent a message saying that all Merthyr was shocked by the news of the death of his brother and joined in his expression of sympathy with Lord Kemsley and his family in the loss of a generous and noble gentleman.